You should stand in such a way that the outside of your shoulders are in perfect tandem with the insides of your feet. For this, you need to widen your stance to keep your lower body stable, which in turn keeps the point of contact on your clubhead consistent. You should always pick an object that lies in the middle of your golf ball and target and align your body and clubface in position with that. When buying a driver, don’t pick one that is too long just because you think you can get more distance on it. Instead stick to a driver that is shorter or less than 45 inches so that you can hit straighter shots. 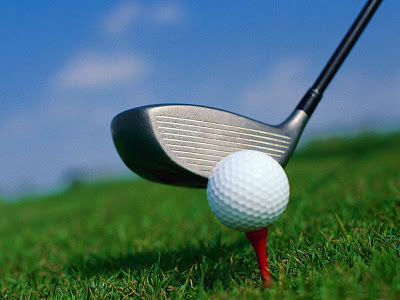 Often the tee-boxes on the golf courses may start sloping and thus you may be higher or lower than the golf ball. This affects your drive and you may be unable to hit straighter and longer drives. To avoid such a situation, you should find a level tee- box so that you can drive the ball consistently. If you want to perfect that drive, you need to make a draw-type swing where you make the clubhead approach inside the line of impact. For this, you need to keep your aim to the left and allow your clubhead to be open when hitting the ball. The best way to make more consistent drives is to relax your muscles so that you can hold the club better and get the correct stance. Use a driver that suits you and that can help you make straighter shots and make sure that your alignment and stance are stable. Once you perfect this shot, you will become a pro at golf and will be able to hit more holes-in-one with ease. Start practicing now to get that perfect drive!